Proudly serving the greater Washington, DC area since 2003. 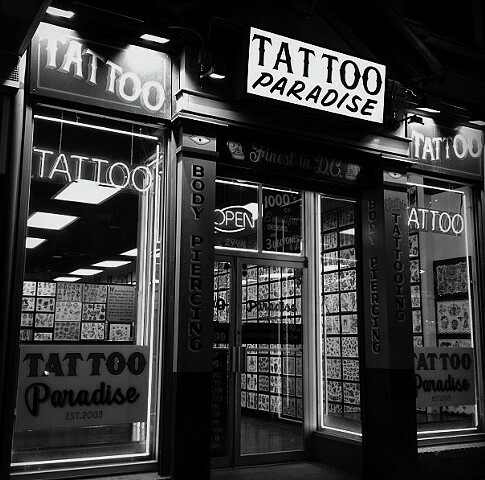 With the opening of our newest shop in Rockville, MD, Tattoo Paradise now has three premier locations. We offer some of the best Tattooing and Body Piercing on the East Coast. We have in-house tattooers famous the world over and a constantly revolving cast of international and national guest tattooers.